Superstar cricketer Virat Kohli is breaking records both on and off the field these days. Kohli's phenomenal success in the last two years has seen his brand value soar up and above, especially after he took over the captaincy from Mahendra Singh Dhoni in Test cricket in 2015. Also Read: Australia need collective effort to stop Virat Kohli! 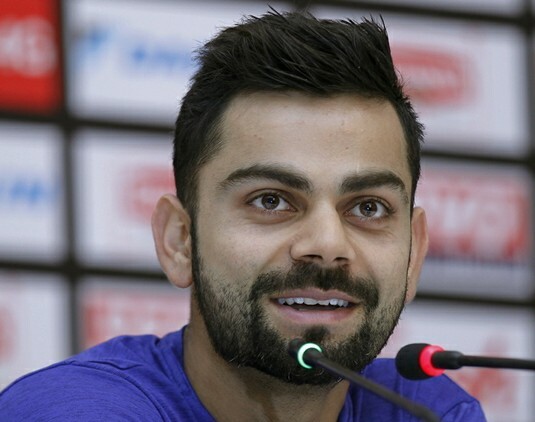 This year Kohli not only succeeded Dhoni as India captain in the limited-overs formats but also leaped ahead of his former captain to be valued at a whopping $92 million, according to an October 2016 report on India's most valued celebrity brands published by Duff & Phelps, a global valuation and corporate finance advisory firm. Also Read: Virat! Reaction on Master! Sachin tweet.